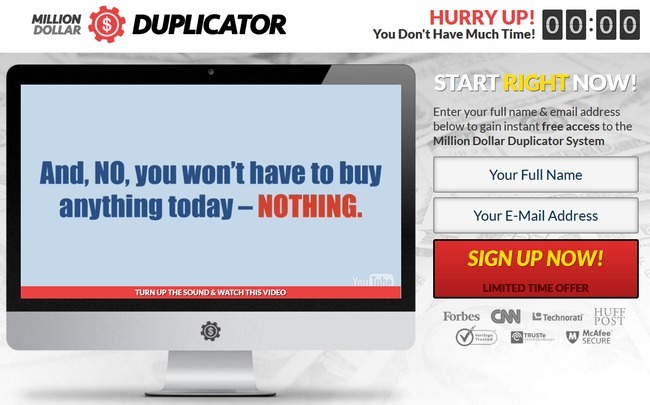 Million Dollar Duplicator Review - It's a Scam! Million Dollar Duplicator can be found at milliondollarduplicator.com, and it boasts to duplicate winning trades for you. Don’t fall for it, because Million Dollar Duplicator is a scam! Make sure you read this Million Dollar Duplicator review fully before buying into an obvious scam. 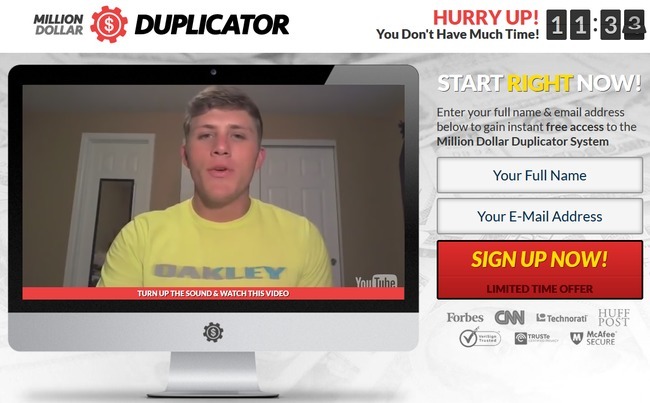 Million Dollar Duplicator is a scam with multiple loopholes. As soon as you enter the sales page of Million Dollar Duplicator, you’ll be greeted with a sales video that dominates the screen. The video is narrated by the alleged owner of the software, Michael Bradley. At the later part of this review, you’ll see why you can’t trust anything he says in the video. On the top right hand corner, you will find a countdown timer that tickles down as you watch the video. There’s even a counter to shows the number of free Million Dollar Duplicator softwares left. As a consumer, the real question is – will you lose the chance to grab the software once the time is up? Or is it just a tool use to force you into action? The countdown timer is fake. You were told that you need to activate your Million Dollar Duplicator software before the timer runs down. To verify if the claim is true, I waited for the timer to run out, and then I proceeded to sign up for the software just fine. In fact, the timer is just a computer script that is set to countdown every time the webpage is loaded. Try refreshing the webpage where you see this timer, and you’ll realize that the timer resets itself to 14:00 every time you refresh the page. Let the timer run out and try signing up for the scam. You can still get your software and new broker account just fine. However, we wouldn’t recommend the second method, because you will receive multiple sales calls from the broker sales team if they have your phone number. Michael Bradley is said to be the system creator of Million Dollar Duplicator, and it has taken years for him to perfect the software. Although he doesn’t make an appearance in the sales video, we can find a photo of him in the sales page of the software. We decided to do a reverse lookup of this image, and what we found was disappointing. Turns out “Michael Bradley” is just a stock image. 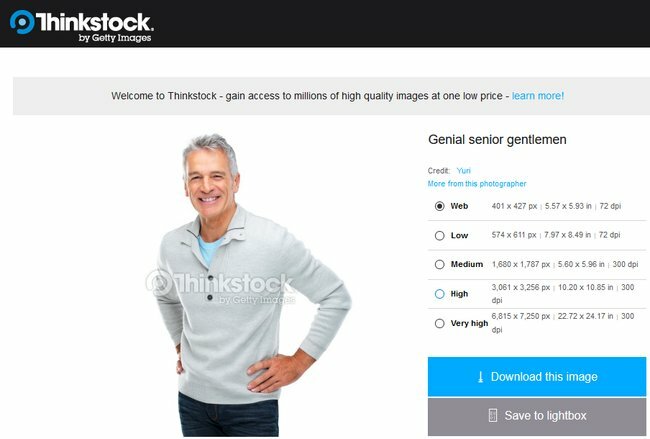 We managed to locate the origin of this photo at thinkstockphotos.com, where they sell generic photos to be used in various websites. In other words, these photos can be purchased by anyone to be used in their websites, and this includes the scammers behind Million Dollar Duplicator. Apparently, the scam purchased this stock photo titled “genial senior gentlemen” and conveniently labelled him as Michael Bradley, system creator of the software. Michael Bradley doesn’t exist, and Million Dollar Duplicator is just a generic binary trading software that won’t make you any money. Even the member testimonials shown in the sales video are fake. If you watched the entire sales video, you’ll come across a few member testimonials that seem to give highly positive review to the software. Every single one of them claims that Million Dollar Duplicator changed their financial life, and they want to thank Michael Bradley personally. These testimonials no doubt add to the credibility of the software, but we found evidence to show that these guys are just actors hired to promote the scam. Fiverr actors were hired to record fake testimonials. Compare the man shown in the screenshot above to the “member” of Million Dollar Duplicator scam. They are the same person, and you can verify our claim by visiting his Fiverr profile: fiverr.com/marketingxpert5. He has been featured in multiple binary trading software scams, including Pearson Profits and 1k Daily Profit scams which we have reviewed earlier. I have attached the gig description of this Fiverr actor here. You can see that he’s offering to create a professional-sounding testimonial from a setting that does not look like a “fake”, staged studio. 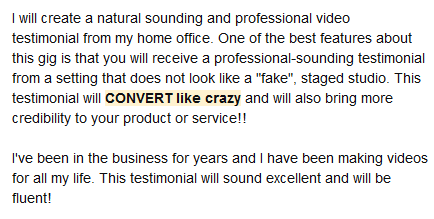 If Million Dollar Duplicator scam is as good as they claim, why would they need to hire actors to fake the testimonials? There’s only one reason – it’s because the scammers are out to get your money, but the software does not work at all! Fake social signals used to boost credibility of the scam. 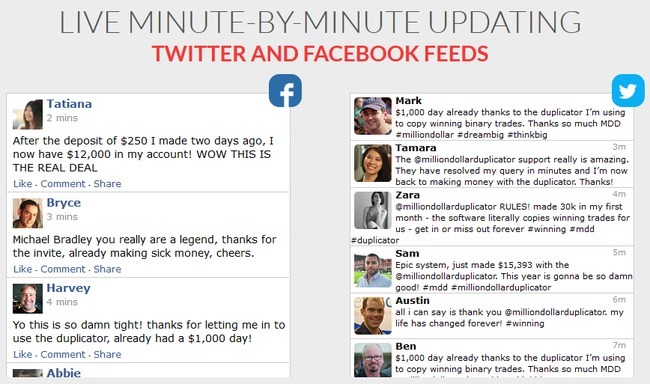 It appears that the scammers behind Million Dollar Duplicator scam understands the importance of social testimonials, and they’ve gone to great length to create fake social approval. At first glance, they seem to be highly credible comments from genuine Facebook users. But if you look closer, you’ll realize that this is a trick by Million Dollar Duplicator scam to confuse its victims. Try clicking on any profile or links within the Facebook feeds. You’ll realize that you cannot interact with any of posts, unlike those genuine Facebook posts. If you click on the profiles, they lead to nowhere. Why is this happening? Apparently, these social posts are just wall of texts formatted to look like Facebook and Twitter feeds. You can authenticate for yourself by searching for the profiles in these social platforms, and you’ll find that none of them exist. You can even look for the tags in Twitter, such as @milliondollarduplicator, and it won’t return the posts shown above. 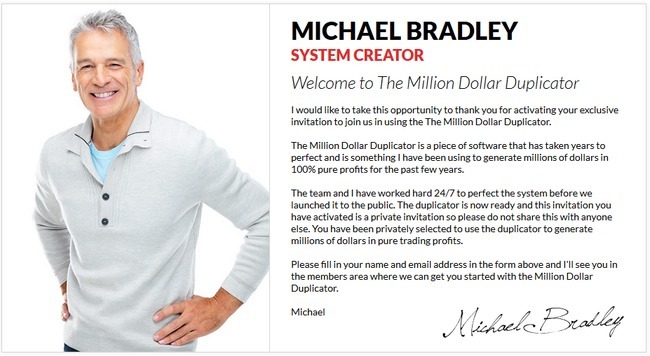 Despite promising to make you rich beyond your imaginations, “Michael Bradley” has some dark secrets hidden in the disclaimer of Million Dollar Duplicator scam, after all. You can verify the terms we’ve quoted here using this link: milliondollarduplicator.com/disclaimer. Despite coercing you to sign up for the “free” money-making software, Million Dollar Duplicator denies inviting you to trade binary options. Million Dollar Duplicator scam admits that trading binary options is extremely risky, and it’s your own responsibility if you decide to sign up and lose all your investments. NO REAL TRADES HAVE BEEN EXECUTED using Million Dollar Duplicator software. All profits quoted in the sales material are fake. What about the profits Michael showed you in the sales materials? Is Million Dollar Duplicator a Scam? YES, MILLION DOLLAR DUPLICATOR IS A SCAM. We strongly advise you to stay away from the scam if you don’t want to lose your hard-earned money.